Online education created the opportunity for adults to meet their educational goals, but how does an instructor ensure that they are providing tools that stimulate all learning styles and meet the needs of adult learners? 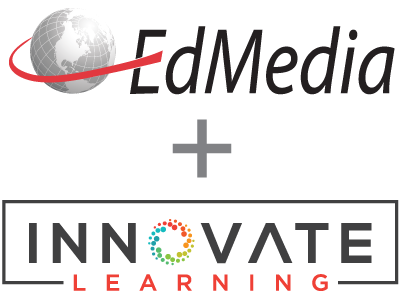 The Health Information Management program at the University of Cincinnati is transitioning from a traditional pedagogical (teacher led) model to an andragogical model, which acknowledges the importance of self-directed learning. Designing eLearning courses requires a variety of learning pathways connected to andragogical principles. Discovering the needs of adult learners has led to an educational roadmap that incorporates toolbox activities that support all learning styles and fills in the gap; depending on the student’s level of knowledge and skill set. This roundtable will demonstrate University of Cincinnati’s interactive toolbox and will discuss matching these activities to the course learning objectives and assignments. Participants will preview educational use of eLearning activities such as mini-books, hot spots, process steps, and decision-making tools. Smith, G. & Clineman, D. (2009). What is in Your Toolbox? Designing eLearning Activities to Support Course Objectives. In G. Siemens & C. Fulford (Eds. ), Proceedings of ED-MEDIA 2009--World Conference on Educational Multimedia, Hypermedia & Telecommunications (pp. 2-11). Honolulu, HI, USA: Association for the Advancement of Computing in Education (AACE). Retrieved April 23, 2019 from https://www.learntechlib.org/primary/p/31475/. Smith, M.K. (2002). ‘Malcolm Knowles, informal adult education, self-direction and andragogy’, the encyclopedia of informal education, www.infed.org/thinkers/et-knowl.htm.